Forum 35 couples their love for wine, their passion for a good cause and their desire to mix and mingle with like-minded people in a fun, casual social setting. Don't walk, GALLOP to this great event! Combine your love for food, wine and passion for a good cause at Forum 35’s Uncorked! This fall, our event will benefit GaitWay Therapeutic Horsemanship Baton Rouge. GaitWay Therapeutic Horsemanship provides equine therapy to children and adults with a variety of disabilities. By riding, they grow stronger, both mentally and physically. They serve people who have cerebral palsy, autism, developmental delays, scoliosis, ADHD, depression, anxiety, Joubert's syndrome, traumatic head injuries, multiple sclerosis and more. We are proud and excited to be raising funds for such an incredible organization! The varietal for this Fall 2018 event is Pinot Noir! Attendees will form teams of 1, 2 or 3 people and bring 3 matching bottles of Pinot Noir. Two of the bottles will be bagged and numbered for a blind wine tasting and one will be put into the winner’s prize lot. At the conclusion of the festivities all scores are tallied, and the winners are recognized while the lowest scoring wine is returned to its rightful owner to take home. Tickets are availble on this page and are $30 each. Tickets can also be purchased at the event for $40 on the day of the event. 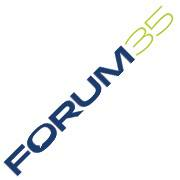 If you are unable to attend and would still like to support Forum 35, you can also donate through this page. Teams can be registered here or at the door. The best team name with be awarded a special prize, so get creative! Please be advised that all Uncorked events are strictly 21+ events. What kind of wine does my team have to bring to the event? The varietal for this event is Pinot Noir, so your team should bring three identical bottles of Pinot Noir. Be sure the bottles are all the same name, winery, and year! For best results make sure your bottle is chilled before you arrive at the event. I don't feel like bringing Pinot Noir. Can I bring a different wine instead? We won't turn you away for bringing the wrong wine, but your team will be disqualified from winning the pool. It is also unlikely that the wine will be put out for people to taste. Instead, it will just go directly into the winner's pool. So it's best to bring the right varietal, Pinot Noir! Do I have to bring wine to participate? Yes. It is required that you and/or your team members bring the required three bottles of wine to participate. If you do not bring wine, you will not be admitted to the event. I want to come, but I can't find anyone to be on a team with me. Can you set me up with a team? We unfortuantely can't do the matchmaking, but we do suggest that you follow this event on Facebook. There, you can post on the event wall and look for other people who need a team or who are team of two that need a third. Post early to give yourself plenty of time to find a teammate! Cocktail or business dress works great! I have a question not answered in this FAQ.